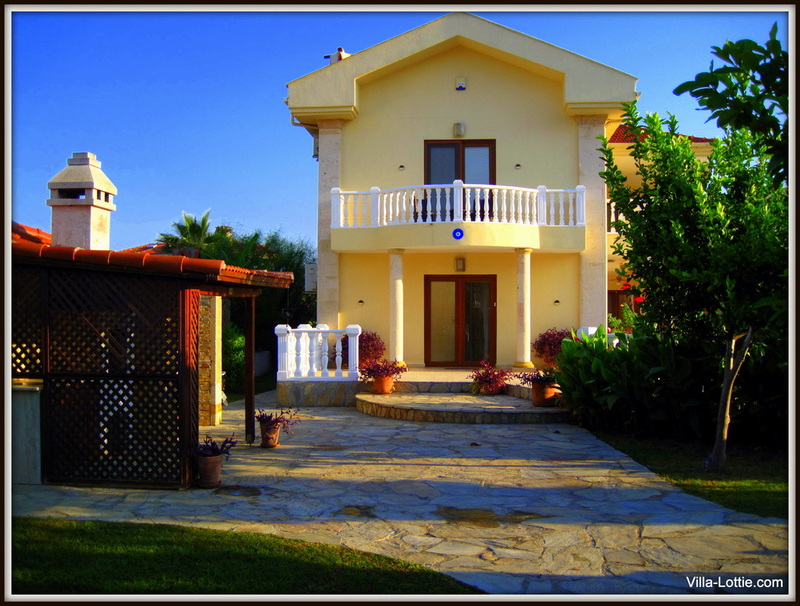 Welcome to Villa Lottie, our wonderful home in the beautiful riverside town of Dalyan in Turkey. 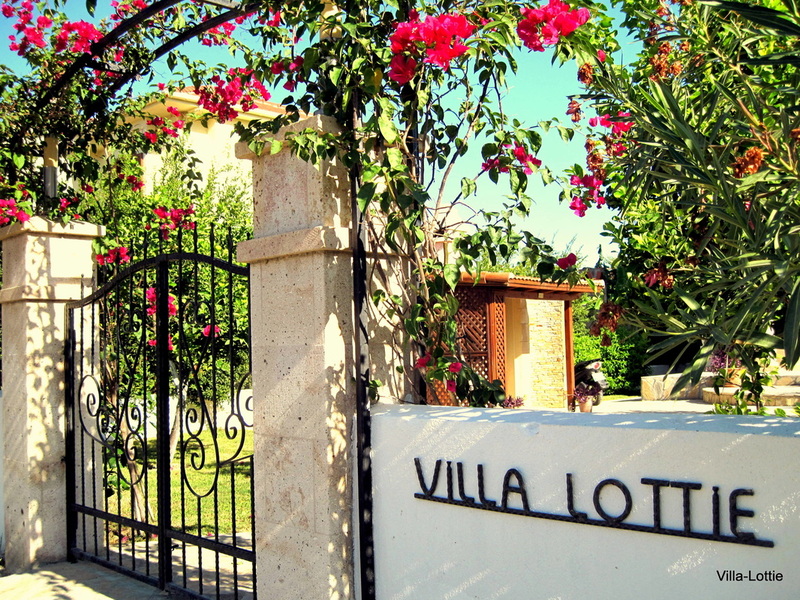 Villa Lottie is a four bedroom five bathroom luxurious and exclusive villa, with swimming pool, Jacuzzi and a large established garden. The villa can accommodate 8 people in a luxurious style, as all the rooms are air-conditioned and fitted to the highest standards. 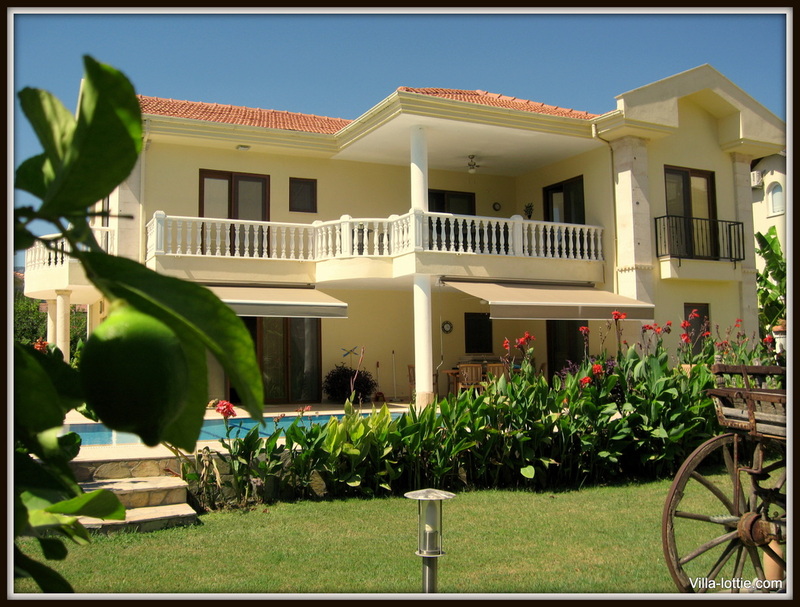 Fully equipped with everything you need to help you enjoy, and experience this beautiful villa. Set in an old lemon orchard in the Arikbasi area on the outskirts of Dalyan town, it boasts stunning forward facing views of the mountains. A wonderful base for those wishing either, a relaxing holiday round the pool, or for the more energetic who wish to experience the many active adventures available in this area of natural beauty. Enjoy an evening drink around the pool, or from the comfort of the first floor balcony, watching the sun's rays disappear from the mountains, eat alfresco and cook from the covered BBQ, or stroll down to the town, with its beautiful scenic views, a mere 15 to 20 minutes stroll, or a 4 minute taxi ride.